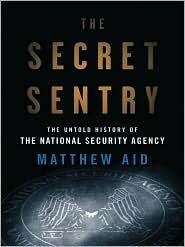 The current New York Review of Books has an article by James Bamford, “Who’s in Big Brother’s Database” that reviews the new book by Mathew M. Aid, The Secret Sentry: The Untold History of the National Security Agency . I have gotten in line at my local library to read this book and will make further comments after that. Meanwhile, the Bamford article mentions the construction boom at NSA (National Security Agency) with a doubling of its headquarters and million sq. feet of data storage in the Utah desert costing some $2 billion. This to store the data from all of NSA’s spying that by 2015 will be spoken of in terms of yottabytes. Now, before you think that Bamford is mainlining old Star Wars characters, a yotta- is the largest large number prefix officially recognized in the scientific lexicon. At our house we are approaching 1/2 Terabyte (1012) in our total digital stores, mostly photos. Really large corporate databases are measured in Petabytes (1015). A Yotta is 1024. Do you really think that any email sent or telephone conversation you have had since 2002 or 2003 is not logged in the vast secret Security State Apparatus?? I guess that a National Security State (Empire) that has had over 800 military bases throughout the world (see an earlier posting on this topic) to assure our influence elsewhere can not resist the opportunity the state of so-called war we have been in since 2001 to penetrate into every American’s life.